As the 2017-18 school year draws near, I would like to take a moment to welcome all of our students and parents back for another year. For those of you who are new to us, we welcome you and hope that you have a great experience in our school district. The West Fork School District mission statement conveys that our system is dedicated to creating successful learners, citizens, and leaders. This statement is supported by the district vision, which reads: West Fork students will be proud of their educational experience and confident in their ability to succeed in a complex global environment. Simply put, our goal is to ensure that every student in our district reaches his/her potential and leaves our system with the foundation necessary to take on the challenges of continuous learning and growing in the 21st century. This summer has been a busy time around West Fork with custodial staff performing the annual cleaning and brightening of our facilities. Some special projects completed over the summer include playground updates at both campuses, concrete work at the Rockwell campus, restroom flooring in the Sheffield elementary, new security doors at West Fork High School, and a number of district safety upgrades at both campuses. District technology upgrades were also completed and this fall every West Fork student in grade 7-12 will be issued a district owned Chromebook to enhance learning and access to information. Students in preschool through sixth grade will have access to classroom iPads with designated applications loaded to support their classroom curriculum. An additional area of focus this summer was the development and adoption of a refined Emergency Management Plan. This plan was developed with the support of Steve O’Neil from Cerro Gordo County Emergency Management, Thomas Craighton of Franklin County Emergency Management, and Adam Wedmore, an emergency planner with NIACC. The plan contains emergency protocols for many situations. This fall we will dedicate a portion of our professional learning blocks on Wednesday mornings to working through various emergency scenarios with staff so that everyone feels comfortable and prepared. As we move into the school year, we ask that parents take an active role in their child’s education. We appreciate the support of parents and community members and want you to get involved in one of our district committees. 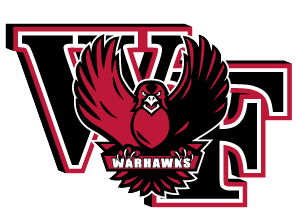 We have opportunities with the School Improvement Advisory Committee (SIAC), Early Childhood Committee, Vocational Advisory Committee, Music Boosters, Athletic Boosters, and the recently formed West Fork PTO. We have a great school system because of the support we receive from our parents and communities. If you are not currently involved, please explore upcoming opportunities. Research supports that students who have parents actively involved in their education learn at higher levels. We will also issue alerts through the following television and radio stations. Guided by sound curriculum and instruction, with parental support, your child will be off to another great year of learning and growing through the opportunities extended to them here at West Fork. If you have any questions, please feel free to contact me at 641-822-3236 or 641-892-4159 or email me at darrin.strike@westforkschool.org.